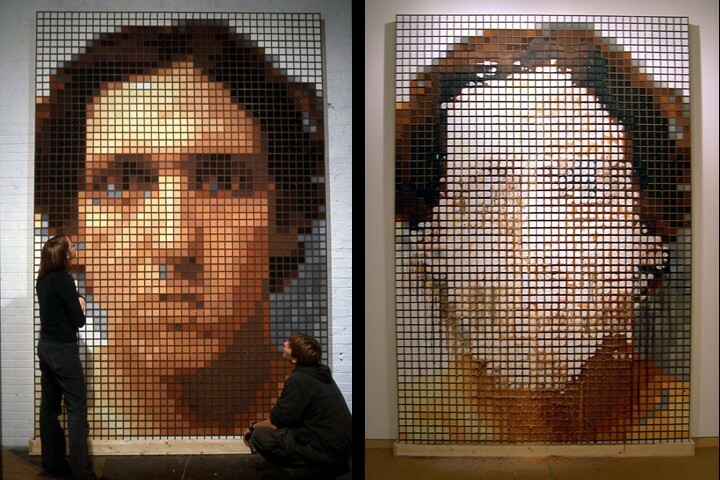 This large 11′x7.5′ self-portrait was melted with a heat gun by the artist at the DePauw Univeristy Gallery’s Midwest Biennial in March 2005. Self-Defacing Action was made by creating a raised grid out of Masonite on panel and then pouring colored wax into the correct locations. The performance was also recorded using time-lapse photography.